Posted on October 16, 2017 at 4:28 pm. New Jersey residents will soon be able to figure out if living in Las Vegas improves your poker face after the state announced a shared online poker liquidity deal with Nevada and Delaware. New Jersey Governor, Chris Christie, who is currently fighting for the right to legalise sports betting in the US, announced the deal in a press release. The interstate compact will “allow Internet gaming patrons in New Jersey to play online against players in those two states” and visa versa. It will also make online poker more attractive due to the increase in the variety of players and shared prize pools. “New Jersey has been a pioneer in the development of authorised, regulated online gaming, which has been a budding success since its launch in late 2013,” Governor Christie said in the press release. While online casino revenue growth has increased, online poker has failed to produce the same results. “Pooling players with Nevada and Delaware will enhance annual revenue growth, attract new consumers, and create opportunities for players and Internet gaming operators,” Governor Christie added. While players in Nevada and Delaware have been able to verse each other in online poker tournaments since 2015, the addition of New Jersey will expand the US online poker industry giving players from the three states access to bigger tournament prizes. 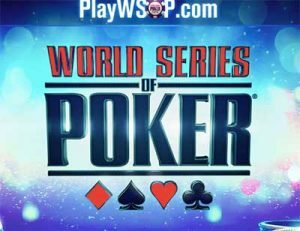 When it comes to poker room operators, The World Series of Poker (WSOP) is well-positioned to reap the rewards as it is the only online site set up in all three states. “We applaud the government leadership and the regulators in New Jersey, Nevada and Delaware for reaching this meaningful agreement,” the company said in a statement. WSOP’s partner 888 will also benefit from the deal as it is already licensed in Nevada and New Jersey. The shared player pool will not be available immediately as the sites will need the appropriate approvals from state regulators first. Chairman of the Nevada Gaming Control Board (NGCB), A.G. Burnett, said other online poker operators in New Jersey could apply in Nevada. “It’s something online poker players have asked for and wanted,” he said. However, online poker cash game site, Pokerstars, is likely to be ineligible to apply as it falls under the ‘bad actor’ status – Nevada legislation bans online gambling operators which accepted US residents before the state legalised online gambling. Additionally, gambling regulators in all three states will need to approve the operator’s application before it can be offered. Director of the New Jersey Division of Gaming Enforcement, David Rebuck, said the operator will then have to submit the game software for testing. “New Jersey stands prepared to approve a game offering for all three states as soon as an operator submits such a product for testing,” he said. If you’re outside of these three US states and looking for an online poker site we recommend checking out Intertops Poker or Ignition Poker for huge welcome bonuses and global tournaments.